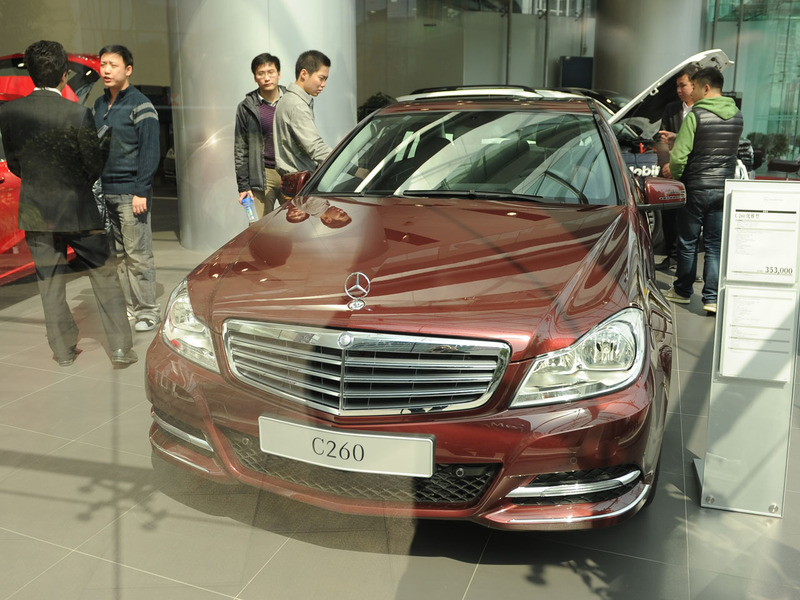 BEIJING China's auto sales accelerated in the first two months of this year, rising 19.5 percent over the same period of 2012 in a possible positive sign for an economic recovery. Automakers sold 2.8 million cars in January and February, the China Association of Automobile Manufacturers reported Monday. Total sales, including trucks and buses, rose 14.7 percent to 3.4 million vehicles. That growth was an improvement over 2012's full-year rate of 7.1 percent for cars and 4.3 percent for vehicles overall. "We expect cyclical recovery in the Chinese economy to continue in 2013," said JP Morgan economist Haibin Zhu in a report. "The gradual improvement in the macro environment would likely support some moderate growth in auto sales during the year." Global automakers are looking to China, the biggest market by number of vehicles sold, to drive revenues amid weakness elsewhere. Sales that grew by double digits in early 2012 decelerated due to an economic slump and ownership curbs imposed by some cities to control traffic and smog. The communist government is promoting auto manufacturing and ownership but has tried to fine-tune policies to encourage sales of smaller, more fuel-efficient vehicles. A government forecast in January said total vehicle sales should rise to 20.8 million this year, up from 19.3 million last year. General Motors Co., Nissan Motor Co. and Daimler AG's Mercedes-Benz have launched lower-priced Chinese brands for the vast but poor rural market. GM said sales of GM-brand vehicles by the company and its Chinese joint venture partners rose 7.9 percent in January and February over a year earlier to 525,835 vehicles. Ford Motor Co. said sales rose 46 percent to 105,209 vehicles. Nissan said its sales in January and February were down 14.1 percent from a year earlier to 174,000 vehicles. However, the company said that was an improvement after a plunge in sales last year. Sales of Japanese brands suffered due to tensions between Beijing and Tokyo over disputed islands in the East China Sea, which kept buyers away from the showrooms of Japanese automakers.